Last Wednesday I arrived in Greece with little sleep and then caught the 7:25 AM ferry to the beautiful island of Naxos. Being a tourist the first day, I walked over four miles exploring the island and promptly got severely dehydrated and ended up with the longest running migraine of my life. I was in bed for a whole day and a half and barely left my room. It finally ended yesterday afternoon. However, this meant no writing was done as I can’t see during a migraine and the computer makes them worse. 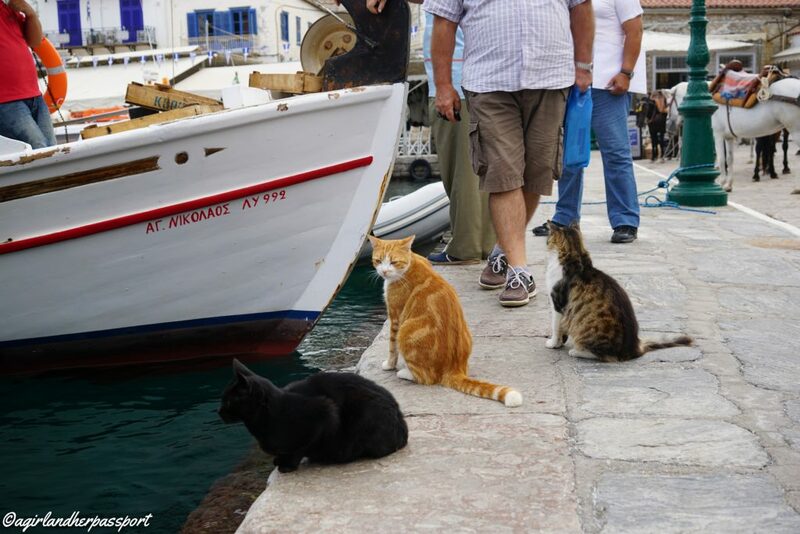 So today I bring you a selection of my Greek cat photos, as cat photos make everyone happy and everyone is talking about the Greek cat sitting job. And no, I am not applying! 55 cats are even too much for this cat lover. 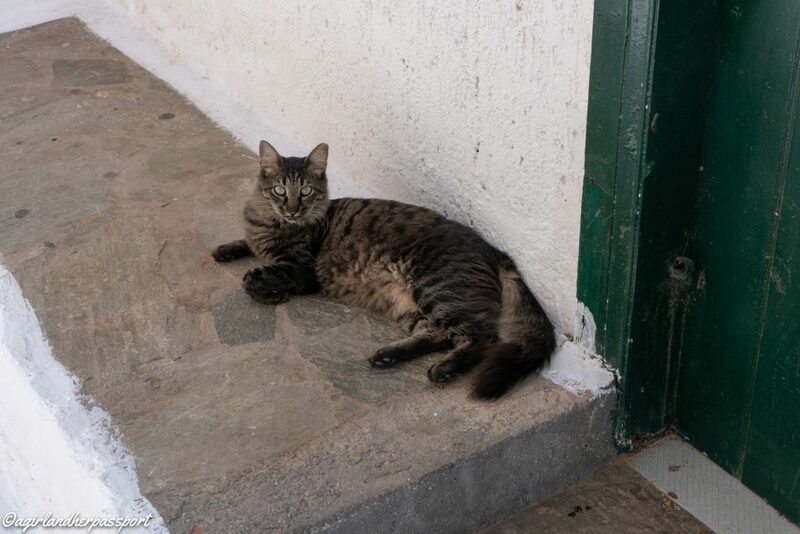 I will stick to loving on the strays in Naxos. 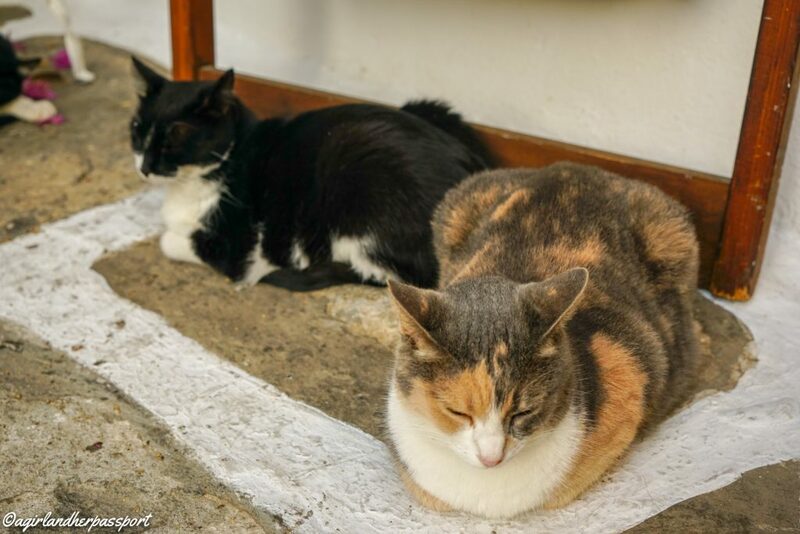 Greek cats are on every island I have visited. Here are a few of my favorites from my travels to Greece over the years. And of course cats make everything better! 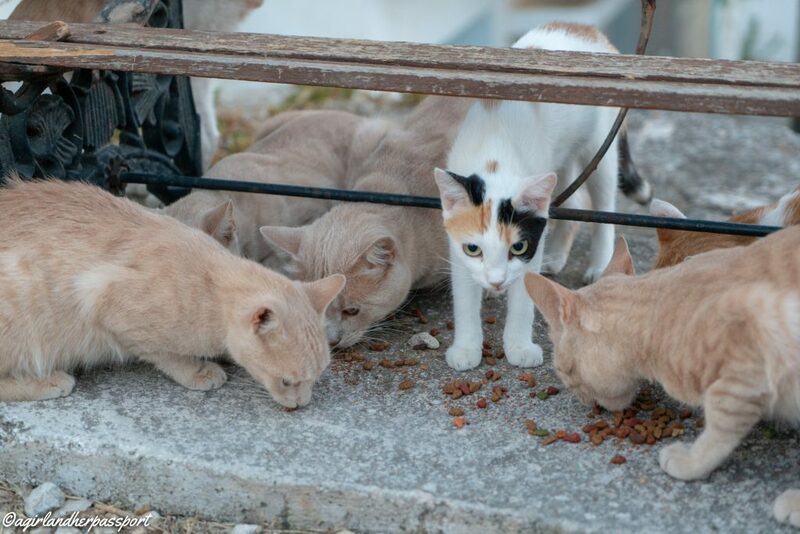 Did you see that job out there for six months on a Greek island looking after a cat home? Love the last picture of the 2 cats staying within the lines! Hope you are feeling better and remembering the water. Thank you Jackie! I am feeling better finally. Hope you guys are well. There are beautiful. I have Persian cat and he definitely brightens my day. Cats always make me smile!